Cyclosporine A (CsA) is an immunosuppressant used to improve the rate of acute rejection and graft survival in transplant patients. However, CsA has serious adverse effects including high blood pressure as well as liver and kidney dysfunction. 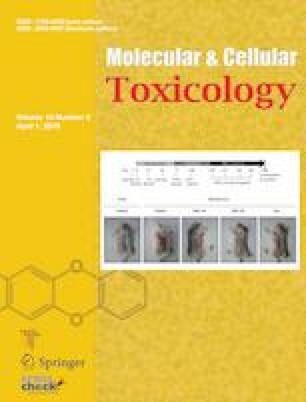 Although several toxicological mechanisms of CsA have been suggested, the investigations have been limited to evaluate the initiating events of CsA-induced toxicity in liver and kidney. To understand the events during initial hepatotoxicity and nephrotoxicity induced by CsA, we analyzed the comparative gene expression profiles of CsA-treated rats. We performed the microarray experiment using Affymetrix GeneChip Rat 230 2.0 array from the liver and kidney of CsA-treated rats (10 and 25 mg/kg of body weight, once daily for 4 weeks). Differentially expressed genes (DEGs) were selected using the Gene- Spring program (analysis of variance test, fold change ≥1.3), and functional analysis of the DEGs was conducted using the Ingenuity Pathways Analysis program. The most significant biofunctions of the DEGs were fatty acid oxidation, immune response, and molecular transport. In particular, fatty acid β-oxidation and lipopolysaccharide/interleukin-mediated inhibition of retinoid X receptor function were selected as significantly changed gene sets for each DEG in the liver and kidney. Fatty acid β-oxidation is closely correlated with peroxisome proliferator activated receptor α (PPARα), which regulates the expression of genes involved in lipid and glucose metabolism. In this study, Pparα was identified as a common upstream regulator of the DEGs, and the expression of genes related to lipid metabolism, as well as the damage of renal tubules, was significantly influenced by CsA treatment. We confirmed that fatty acid β-oxidation-related genes are downregulated by CsA treatment in the liver and kidney and using quantitative real-time RT-PCR. Our findings suggest that PPARα agonists may be candidates for reducing the toxicity of CsA treatment and encourage translational research. The online version of this article (doi: https://doi.org/10.1007/s13273-019-0022-z contains supplementary material, which is available to authorized users.